Gain even more savings by bundling your flights and lodgings. Expedia has loads of amazing Murca travel packages that'll simplify things and give you more money to spend! Savings of as much as 15%* are available to savvy travellers who book a package deal on Expedia. Our impressive international database allows you to search more than 321,000 properties worldwide and 400 partner airlines. With such a great range of options, planning your dream holiday will be a piece of cake! Preparing to jet off on your Murca holiday? Not sure what sorts of things to include in your travel programme? Don't worry — we'll give you a few of our recommendations. Even on a drizzly day, it's well worth going for a walk through Jardim da Avenida Doutor Francisco Sa Carneiro. Open your umbrella and enjoy the fresh earthy smell. Visitors have a great range of options nearby. Jardim Publico Doutor Matos Cordeiro is a lovely place to chill out in if you're exhausted from roaming around town. Find a bench, plop yourself down and rest your weary bones. Still have time to spare? Would you like to add some greater meaning to your getaway? Make the journey to Igreja Matriz de Alijo. Regardless of your beliefs, it's a superb place to educate yourself about the local faith. As there aren't any Murca properties listed with Expedia, a good alternative is to stay in Alijo, which is about 9 miles (14 km) away. The Pousada Barão de Forrester, Hotel Rural Quinta do Silval and Quinta Manhas Douro are some of the most comfortable options in Alijo. No traveller likes spending time at the airport. But it's well worth it when you think of the holiday that's in store! Positioned 18 miles (29 km) southwest of Murca, Vila Real Airport (VRL) is the nearest terminal. 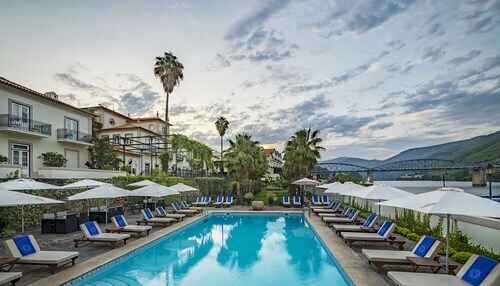 Situated on the riverwalk, this luxury hotel is 15.9 mi (25.6 km) from Douro Museum and 19.4 mi (31.2 km) from Casa de Mateus. 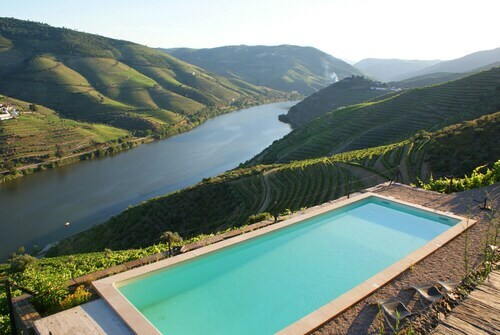 Situated on the riverfront, this agritourism property is 2.5 mi (4 km) from Quinta da Roeda and within 12 miles (20 km) of Quinta do Panascal Visitor's Center and Church of Sabrosa. Jardim Publico Doutor Matos Cordeiro and Igreja Matriz de Alijo are also within 12 miles (20 km). 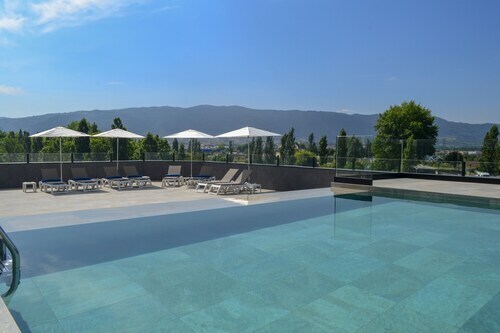 Situated in the historical district, this hotel is within a 10-minute walk of Chaves Castle, Roman Baths and Palace of Justice and Ponte Trajano. Ponte Romana de Trajano and National Railway Museum are also within 15 minutes. This family-friendly Chaves hotel is within 2 mi (3 km) of National Railway Museum, Chaves Castle and Forte de Sao Francisco. Roman Baths and Palace of Justice and Ponte Trajano are also within 2 miles (3 km). 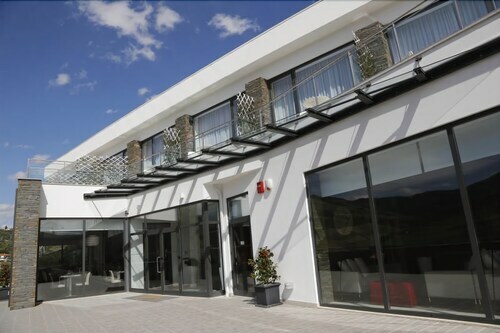 Located in the mountains, this family-friendly hotel is within 12 mi (20 km) of Ponte Romana de Trajano, Forte de Sao Francisco and Chaves Castle. Ponte Trajano and Roman Baths and Palace of Justice are also within 12 miles (20 km). Situated in Sabrosa, this country house is within 16 miles (25 km) of Quinta da Roeda, Church of Sabrosa and Quinta do Panascal Visitor's Center. Viewpoint of St Leonardo da Galafura and Panoias are also within 20 miles (32 km). This family-friendly Chaves hotel is located in the historical district, within a 10-minute walk of Forte de Sao Francisco, National Railway Museum and Chaves Castle. Roman Baths and Palace of Justice and Ponte Trajano are also within 10 minutes. 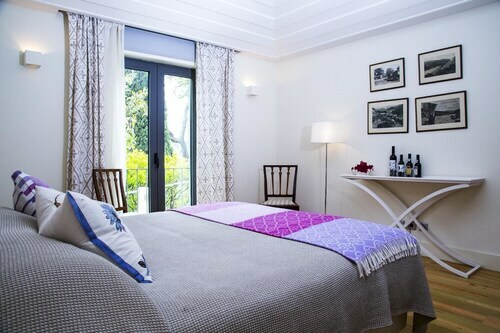 Situated in the mountains, this hotel is 2.1 mi (3.5 km) from Quinta da Roeda and within 12 miles (20 km) of Quinta do Panascal Visitor's Center and Jardim Publico Doutor Matos Cordeiro. Igreja Matriz de Alijo and Jardim da Avenida Doutor Francisco Sa Carneiro are also within 12 miles (20 km).